It’s the only lifestyle they know, they said. So when crop prices started to plummet, the Kochises turned to a resource that is breathing new economic life into eastern Colorado: wind turbines. Continue reading here. Liz Forster is a general assignment reporter with a focus on environment and public safety. She is a Colorado College graduate, avid hiker and skier, and craft beer enthusiast. Links to more Nebraska Energy Quarterly articles. 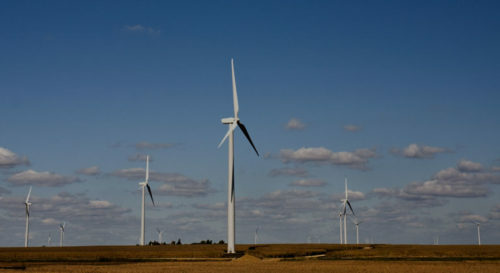 This entry was posted in NewsBlog and tagged Clean Cooperative, economic benefits of wind energy to farmers and ranchers, economic benefits of wind energy to local communities, energy conservation, Nebraska Energy Office, Nebraska Energy Quarterly, Omaha World Herald, The Gazette, wind energy development in Colorado, wind energy development in Nebraska on June 30, 2018 by Helen Deffenbacher. The energy industry has experienced a lot of change, particularly because the cost of wind and solar energy has plummeted faster than experts ever expected. Many electric utilities have taken advantage of this cheap, home-grown renewable energy and the benefits it brings to their customers, their bottom line, our economy, and our environment. 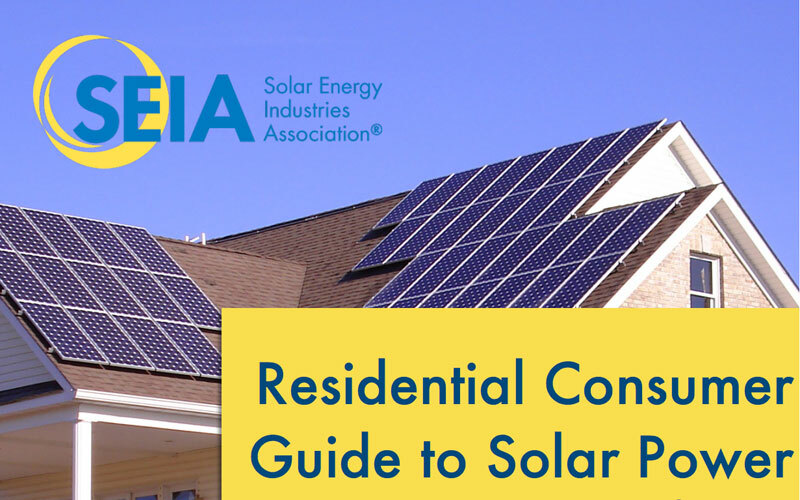 You don’t have to take it from us — read on to learn how – and why – electric utilities are investing in low-cost wind and solar energy throughout the Midwest! Continue here. This entry was posted in Nebraska / Midwest News, NewsBlog and tagged Midwestern Electric Utilities, Nebraskans for Solar NewsBlog, RMI's Business Renewables Center (BRC), Spark - RMI Newsletter, Wind on the Wires on June 29, 2018 by Helen Deffenbacher. We’re proud to announce Electrek is sponsoring the American Solar Challenge this year. 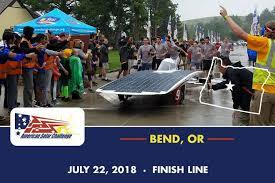 The 2018 event (PDF Flyer), which begins next weekend, will see racers take their Solar-powered “cars” from Omaha, Nebraska to Bend, Oregon loosely through the Oregon Trail. I use quotes because to get the watts/mile equation on these vehicles to within what’s possible with a car footprint solar array, you’ll essentially need 4-wheeled electric bicycles. The American Solar Challenge (ASC) is a multi-day, 1,500-2,000 mile cross-country endurance rally across North America. 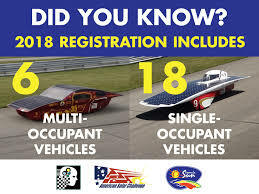 The event is typically held every other year during the summer and is open to collegiate level solar car teams from countries all over the world. The routes have varied greatly over the course of the event’s rich history, but they are always designed to provide teams with a great opportunity to demonstrate their solar cars under real world driving conditions and thoroughly test the reliability of all onboard systems. Click image, below, to link to the American Solar Challenge on Facebook. 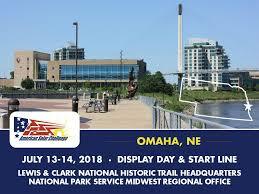 (Nebraskans for Solar will be among organizations sponsoring booths at the American Solar Challenge display day at Lewis & Clark Landing on July 13). Additional details are posted on our calendar and here. This entry was posted in Electric Vehicles, Nebraska / Midwest News, Solar Energy Education and tagged American Solar Challenge, Electrek, Nebraskans for Solar NewsBlog on June 29, 2018 by Helen Deffenbacher. Michigan could see billions in economic impact and tens of thousands of new jobs if its major utilities follow through on voluntary pledges to boost renewable energy, according to a new report released Thursday by a conservative energy group. The Michigan Conservative Energy Forum report highlights the potential economic impact as utilities comply with a 15 percent renewable energy standard by 2021. It also projects the impact if Consumers Energy and DTE Energy reach 30 percent renewable by 2027, which is generally in line with the stated goals of the companies. Read more here. In this op-ed for pv magazine, Will Driscoll examines the findings of a NERC report which show that the reliability factor known as frequency response—once seen as potentially challenged by added solar and wind power—is improving. 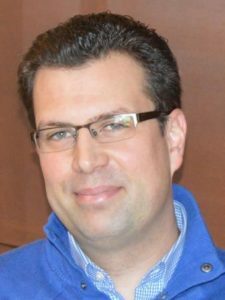 (Will Driscoll, MPA, JD, is an energy and environmental policy analyst who has worked primarily for the U.S. EPA via the contractor ICF Consulting. His recent work is at SaveTheClimate.us). At the foot of an Arctic glacier, Snøhetta creates a pioneering hotel concept. These declines could have wide-ranging consequences globally, both upstream and downstream. The fall in prices could affect the expansion plans of LONGi, the world’s largest monocrystalline ingot and wafer maker, and could put pressure on U.S. module makers including First Solar who are now competing with lower-cost Chinese products. Downstream, the fall in prices is expected to drive more solar development. This entry was posted in NewsBlog and tagged community solar, economics benefits of renewables, grid reliability, Nebraskans for Solar NewsBlog, renewable energy news, U.S. manufacturers of solar panels on June 28, 2018 by Helen Deffenbacher. Automakers have two main options when it comes to managing used electric vehicle battery packs: they can use them in energy storage applications or recycle them for the materials. 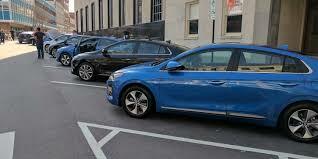 Hyundai announced a new deal today to do the former. The Korean automaker has selected Wärtsilä, a technology company working on complete lifecycle solutions for the marine and energy markets, to be “a technology and commercial partnership designed to utilize second-life electric vehicle (EV) batteries for the growing energy storage market.” Continue here. The 70 MWh energy storage system accompanying a 19 MW solar project is one of the largest batteries to be deployed in the United States, and is coming in at under 11 cents per kilowatt-hour. Hawaii is back at it again. 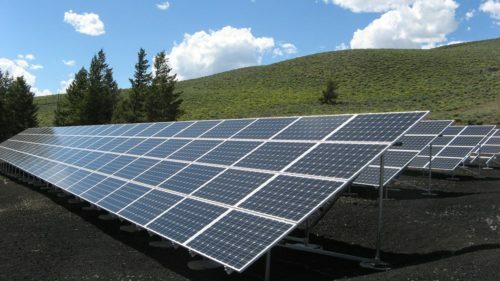 In the state that has the country’s most aggressive Renewable Portfolio Standard (RPS), a plan to double renewable energy penetration by 2021 and multiple counties committed to a 100% renewable public transportation system, comes Maui College’s announcement that the school will become the first in the country to be powered by 100% solar energy. This entry was posted in Electric Vehicles, NewsBlog and tagged colleges and universities powered by renewable energy, energy storage projects with used EV battery packs, Hyundai, Maui College, Minnesota's leadership in solar energy deployment, Nebraskans for Solar NewsBlog, solar plus storage, sustainable businesses in the U.S. on June 26, 2018 by Helen Deffenbacher.